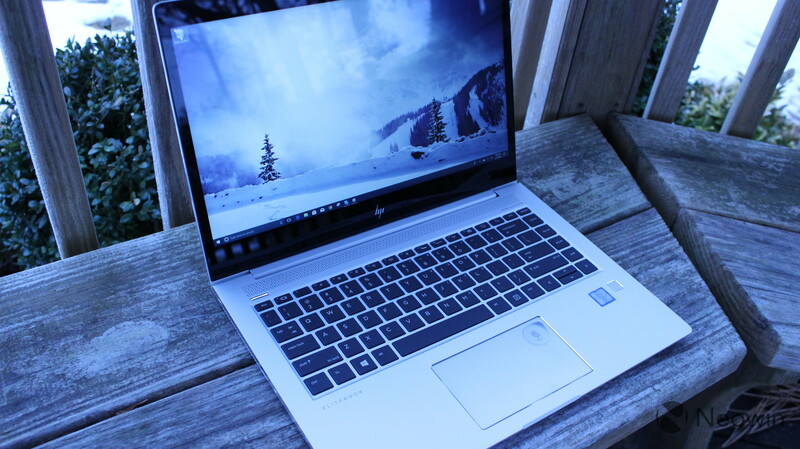 Back in September, HP announced some new PCs from its Elite lineup, which is its brand for business devices. 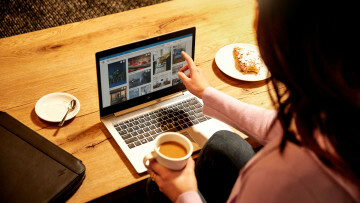 Alongside the EliteOne all-in-one series, there were two new laptops: the EliteBook 1020 x360, and the EliteBook 1040. 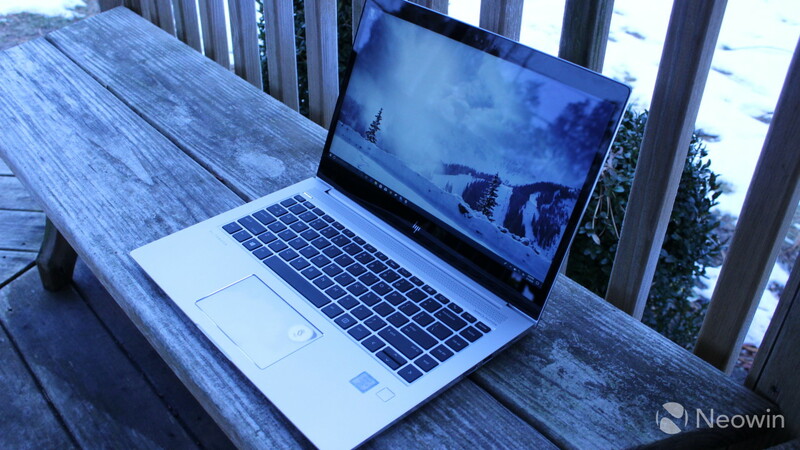 The two portable PCs complement the EliteBook 1030 x360, which we reviewed in June. Just like anything with Elite in the name is a business-class PC, anything with x360 is a convertible. You'll notice that the 1040 is not x360, meaning that it's a standard laptop. However, it makes up for this in power, with a seventh-generation HQ-series processor. The last thing that you'll need to understand about HP branding is that the numbers go in terms of size. The 1030 was a 13.3-inch PC, and the 1040 is 14 inches. 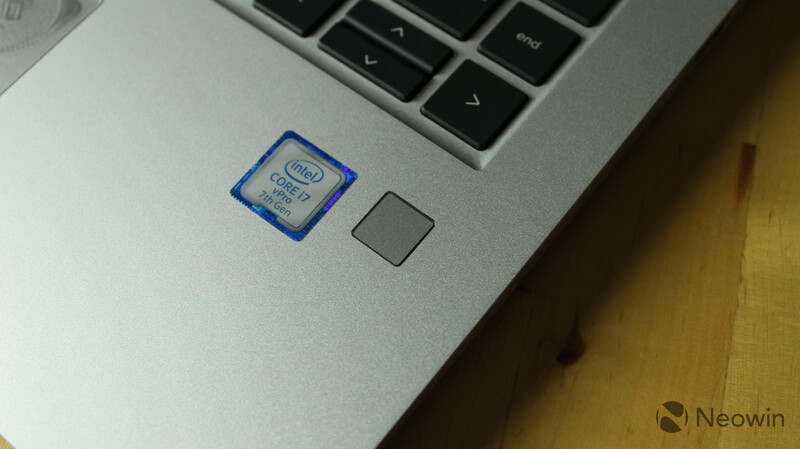 This makes the EliteBook 1040 one of the smallest devices to use Intel's high-performance graphics chips. Note that the display is also available in 4K touch and non-touch flavors; however, the Sure View display is only available on the 1080p models. One thing that you'll notice from the unboxing video is that it comes in a plain brown box, as opposed to the fancy box that a Spectre comes in. One of the reasons for this is because these boxes are easier to stack (remember, it's a business PC). Apparently, IT departments really don't like those fancy boxes that consumer devices come in. 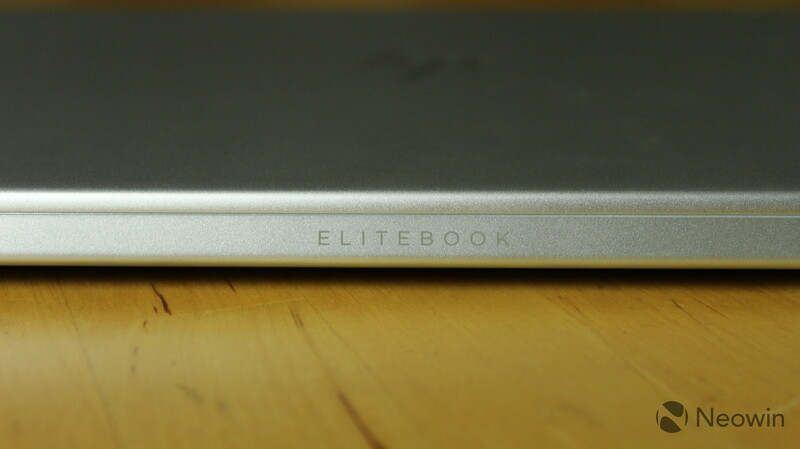 The EliteBook 1040 G4 comes in any color you want, as long as it's Natural Silver. This is the same case across the Elite lineup, so you won't see any Ash Silver with Copper accent devices, as there are in the Spectre lineup. The Natural Silver looks pretty, the type of device that's pleasant to look at home while still appearing professional at the office. 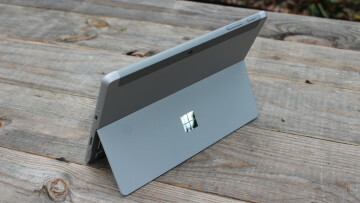 One key thing that's missing from this model that the 1030 x360 had is a legacy charging port. The idea at the time was that businesses might have a bunch of HP chargers lying around that they'll want to still use, but there was also a Thunderbolt 3 port included, giving the option of charging with the modern standard. 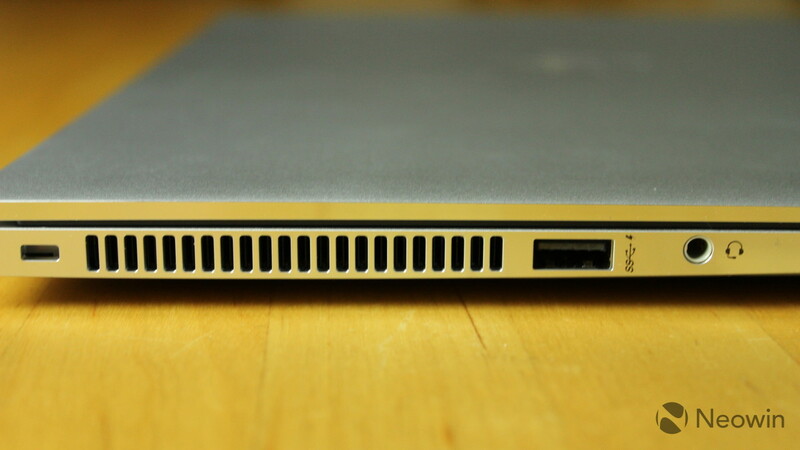 The EliteBook 1040 removes that legacy port and replaces it with a second Thunderbolt 3 port. 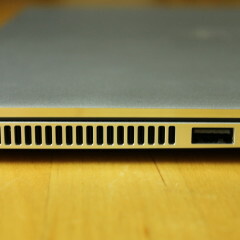 Along with those two Thunderbolt ports, the right side also includes an HDMI 1.4 port and a USB 3.1 Gen 1 Type-A port. You can charge the device with either of the two Thunderbolt ports, and they're each capable of powering two 4K displays, or one 5K screen. Thunderbolt 3 supports data transfer speeds of up to 40Gbps. USB 3.1 Gen 1, however, only supports 5Gbps, but what's cool about that Type-A port is that it supports power output even when the device is turned off, so you can use it to charge your phone. Finally, it's worth noting that the HDMI port is HDMI 1.4, so if you're plugging into a 4K display, you'll want to stick with Thunderbolt. 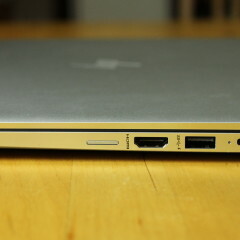 The left side of the device includes a second USB 3.1 Gen 1 Type-A port, which also supports power output when the device is off. There's also a 3.5mm audio jack, which supports both input and output. Another thing that the x360 devices have is a volume rocker. The 1040 doesn't have one, and if it's not obvious, that's because a physical button for changing the volume doesn't make sense if you're not going to be using the PC in a tablet form factor. 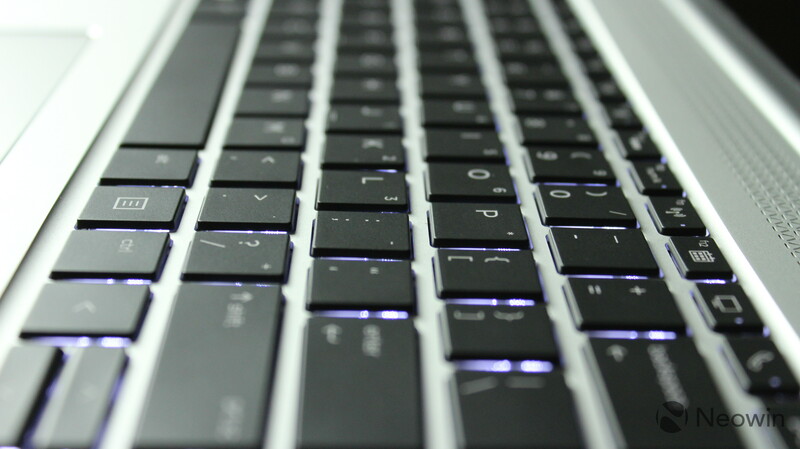 The EliteBook 1040 G4 places the Bang & Olufsen speakers above the keyboard. This placement is perfect for a device that's always going to be in a standard laptop form factor, and it sounds great. 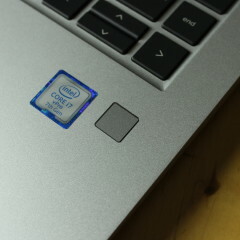 Centered below the keyboard is the trackpad, and off to the right of that is the fingerprint sensor. 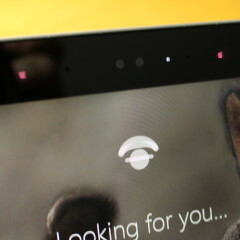 Above the display is the camera, and next to it is an IR camera for Windows Hello. As you've probably noticed, you have the option of using your fingerprint, face, or both, for Microsoft's biometric authentication system. The EliteBook 1040 has a 14-inch display that comes in a number of flavors. The one that I was sent includes a 1080p touchscreen. Personally, I'd prefer a bit higher of a resolution at that size, like 1440p or 4K, but it looks great for what it is. It's also bright enough to get the job done, at 700 nits. It does come in a 4K option though, although battery life will be compromised if you decide to go that route. 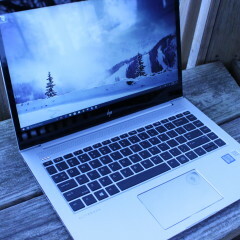 There's also Sure View, HP's privacy display. It's not included in the one I was sent, but I've had the chance to try it out. 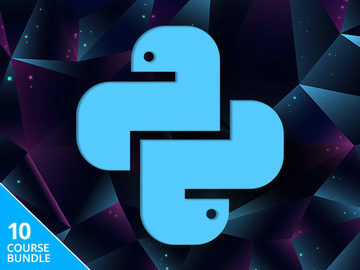 HP says that 91% of visual hacking attempts (when someone pretty much looks over your shoulder to see what you're working on) are successful. This can put you and your organization at risk. By pressing a button, the Sure View display comes on, making it impossible to see what's on the screen from anything more than 30-40 degrees. 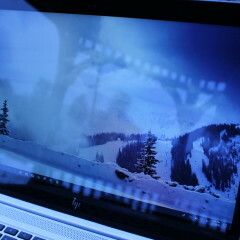 Other than the brightness of the screen, the other thing that I found impressive is its anti-glare abilities. It really surpasses a lot of the other anti-glare screens that I've used. The image above was obviously taken outdoors, and given that no one was sitting directly in front of it, it looks pretty good. I always give the keyboard a shout-out in reviews because I do feel like it's so important. After all, if a PC is uncomfortable to type on, it's going to affect your work flow. Because of this, it's a good thing that the keyboard on the EliteBook 1040 is very comfortable to type on. It's also quiet, which is great for a loud typist like myself. 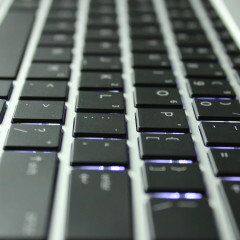 The black keys are backlit, which can be toggled on and off by pressing the F9 key. I've also not found the keyboard to be overly or under-sensitive. I've experienced many devices where I'll end up typing errors because a keyboard was so sensitive that letters would be typed twice. Honestly, the keyboard on this is among the most comfortable that I've used, at least recently. 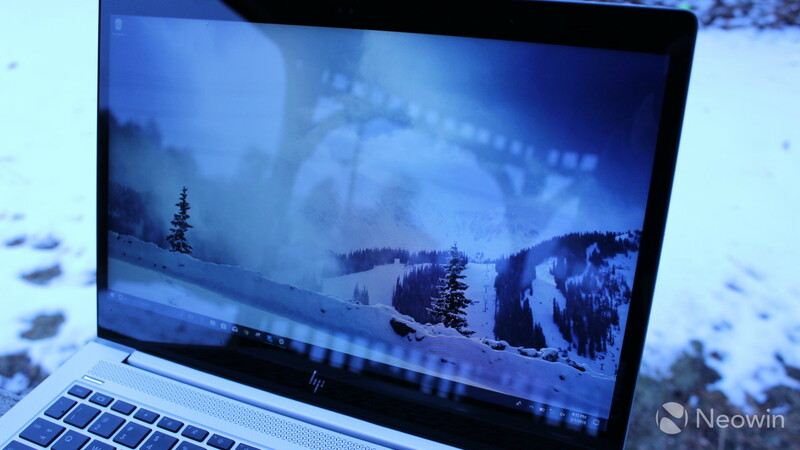 HP includes a number of business-centric features on its Elite devices. For example, Sure Start, which checks the BIOS against a master copy and replaces it if it's corrupted. There's also Sure Click, which provides a secure browsing experience. What's new in this generation is PhoneWise. After setting it up via an app on your iOS or Android phone (downloadable from the device's respective app store), you can use PhoneWise to send and receive texts, and make and receive calls. Still in beta, the implementation does feel a little awkward. In order to send a text, the phone needs to be unlocked; however, you can enter your PIN into the app on the PC, so it will automatically unlock your device. As you'd expect, this method takes a few extra seconds to send your text. Setting it up is easy enough, as it pairs through Bluetooth. The app guides you through the process of allowing the PC to import your contacts, so it's easy to pick the person that you want to text or call. There's only one problem though. 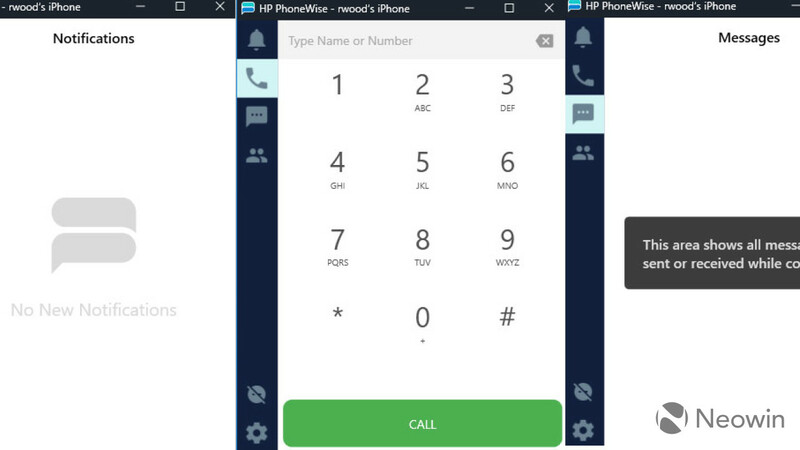 PhoneWise doesn't work with WorkWise, a feature that I really appreciated on the EliteBook 1030 x360. WorkWise also pairs with your phone via an app, and it will allow you to see a variety of things about your PC remotely. You could install printer drivers, and get an alert when someone tampers with your PC (including something as trivial as if they close the lid) when you're away from it. You could also set it so that the PC automatically locks when you move a certain distance away from it, or unlocks when you're close to it. I love the idea of being able to text and make calls from a PC. 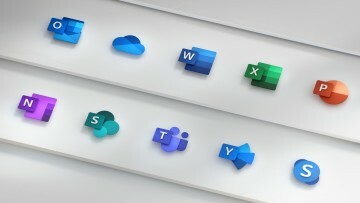 Frankly, I'm surprised that it's taken so long for anyone to provide a decent Windows-based solution. It just disappoints me that this new functionality replaces old functionality, which I also found to be quite useful. The model I was sent includes a Core i7-7820HQ processor, so needless to say, the battery life isn't great. It's the same old story of a PC that is more powerful, and therefore uses more power. With average usage (for me, that's Chrome, Skype, OneNote, and Slack), it gets a solid five hours. If you start doing some video editing in Adobe Premiere Pro, that number goes down. It also depends on your work flow. I got about five hours at full brightness and using the apps that I use frequently. 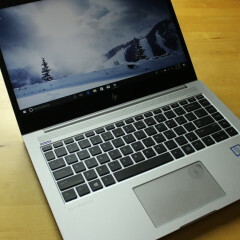 HP says that this device can get up to 15 hours of battery life, and Chrome is obviously a larger battery drain than some other browsers, like Edge. In other words, your mileage may vary on this, and it likely will. Remember, this PC is also available with seventh-generation U-series processors, which are dual-core. If you choose to go that route, you'll definitely get better battery life. On the opposite end, we can also assume that if you choose the HQ processor along with a 4K display, battery life will be worse. 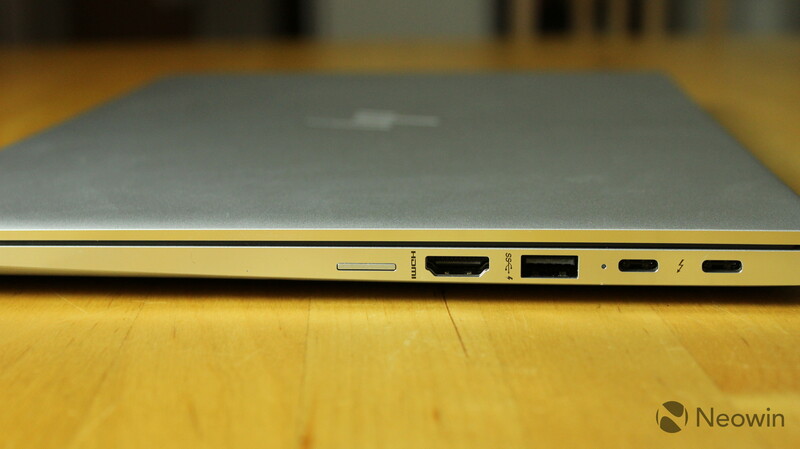 As mentioned above, the EliteBook 1040 charges through either of two Thunderbolt 3 ports. It ditches the legacy power cable that was found on earlier EliteBook models, so if your organization has a lot of those lying around, you should know that it looks like HP won't support them going forward. 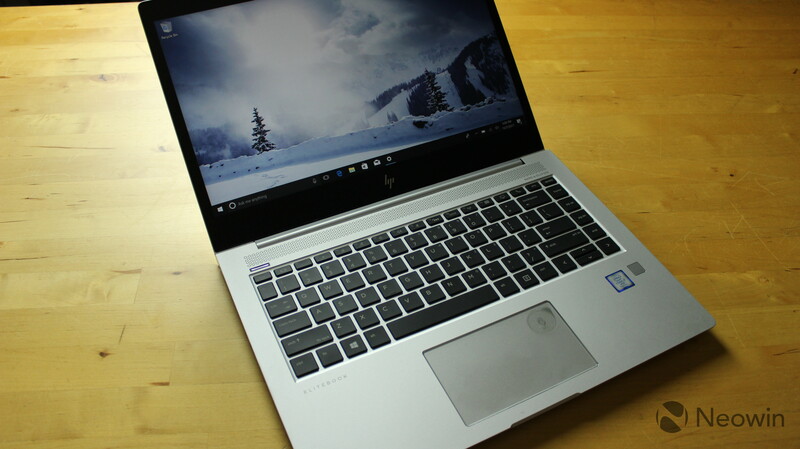 The HP EliteBook 1040 G4 includes both a fingerprint sensor and an IR camera for Windows Hello. Either one works as you'd expect, and it's nice to be offered choice in a PC. Personally, I like to use both; that way, if I'm in awkward lighting where facial recognition doesn't see me, I can use the fingerprint sensor. In other words, I use whichever recognizes me first. Both of them work as expected. The IR camera launches when the lock screen loads, which resolves a problem that I had with the last EliteBook where it was delayed (presumably, that has been fixed via firmware by now). Most of the time, it recognizes me right away, which is the most natural form of biometric authentication. But again, in the rare event that it doesn't, the fingerprint sensor is there. Performance on the EliteBook 1040 is right around where you'd expect. It is indeed a powerful machine, that I used for everyday tasks, as well as more powerful tasks like video editing (all of my videos from CES were edited on this machine). While the PC has one of the most powerful mobile processors out there, remember that it lacks a dedicated GPU. Because of this, it's certainly not a gaming PC, and rendering time when editing videos was a bit on the slow side. Editing the videos themselves though was a smooth process. In everyday use, the EliteBook is a dream. My everyday use includes Chrome (with maybe a dozen tabs open), Skype desktop, OneNote, and Slack being open all of the time. On top of that, I occasionally use Word, Excel, Adobe Photoshop, and for the occasional video editing, Premiere Pro. I really don't have any complaints about the performance of this PC, which is awesome, mainly because it's rare. 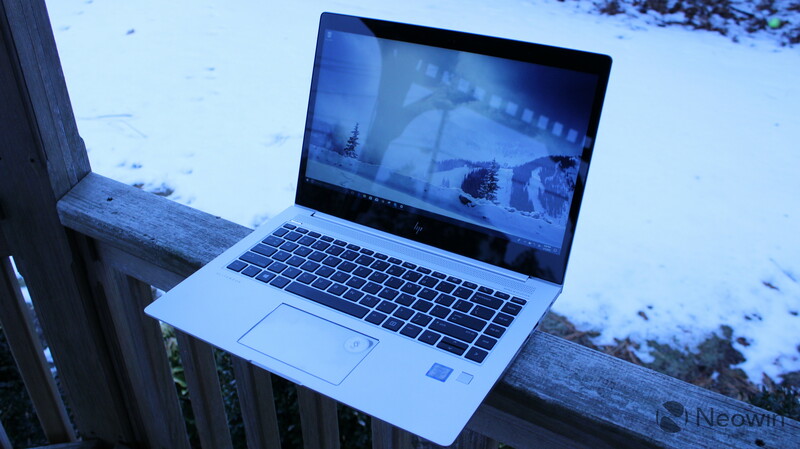 Usually, there's some kind of hiccup that gets on my nerves, but not with the EliteBook 1040. This is just an excellent machine. As usual, I used PCMark 8 for benchmarks, which provides three tests: Home, Creative, and Work. 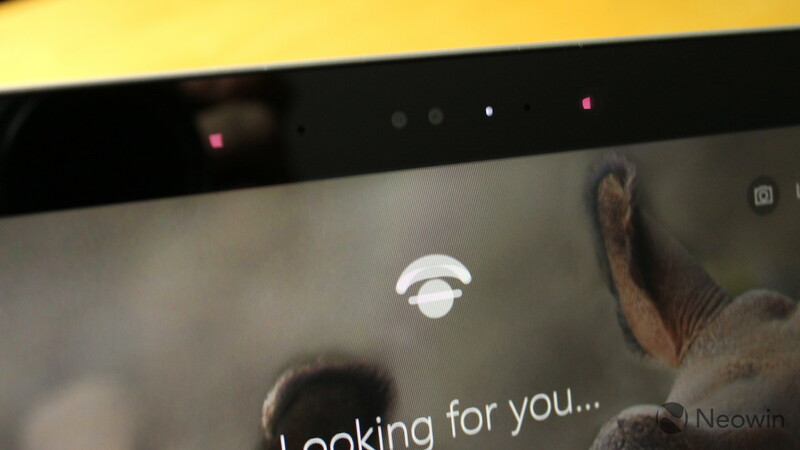 First up is Home, which tests common tasks like web browsing, video chat, casual gaming, and more. Obviously, better than 74% of all results is what you want to see from a device like this. Again, there is no dedicated GPU, so for what it is, that's pretty good. Next up is Creative, which checks in on things that would most certainly do better with a dedicated GPU, like video editing and mainstream gaming. The results here aren't surprising. If you're looking to perform these types of tasks, you should be looking into a workstation PC for your business instead (look in HP's Z lineup). Finally, the Work test checks productivity-related tasks, such as writing, spreadsheets, video chat, and more. 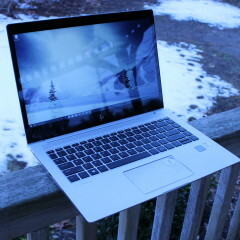 This is where the EliteBook should shine. 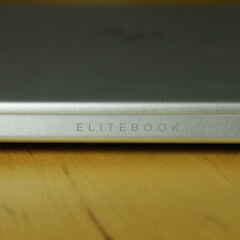 And as you can see, the EliteBook 1040 does shine in the Work test. Most of this stuff requires a more powerful CPU, and that's exactly what you'll find in this PC. My biggest, and probably my only complaint about the EliteBook 1040 G4 would be that WorkWise doesn't work at this time. I think that's a really useful feature for businesses, and it should run in parallel with PhoneWise. Other than that, this PC is a delight. 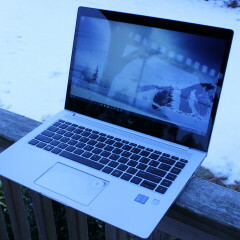 I used it throughout CES, and it's comfortable for writing articles while being powerful enough to edit videos. There aren't a lot of non-gaming PCs that use an Intel H-series processor as this one does. 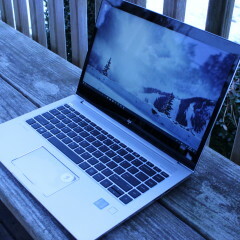 Dell's XPS 15 has it, albeit with a dedicated GPU. 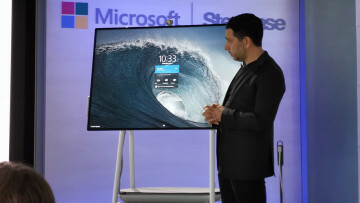 Oddly enough, Microsoft's all-in-one, the Surface Studio, also has one, despite being in a desktop form factor. 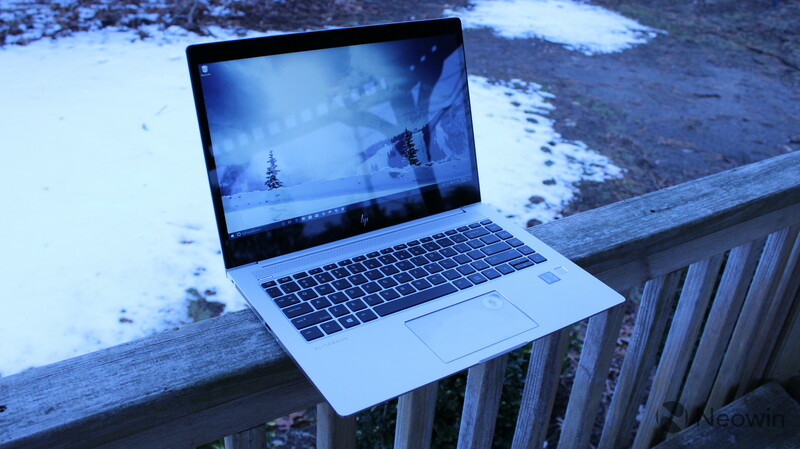 The point is that the EliteBook is one of the most compact and lightest HQ-powered laptops out there. As usual, HP did great with business-centric features, such as the Sure View display that keeps people from seeing what you're working on. I've still not gotten a model with Sure View on any of my HP review units, but I've used it in demos plenty of times at this point, and it's fantastic. 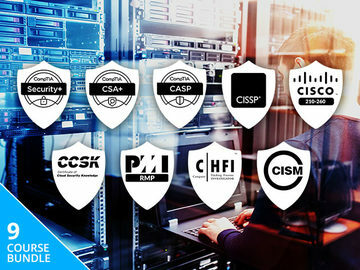 Sure Start and Sure Click boost up security as well, something that's super important for businesses. Personally, I'd like to see this kind of hardware ship in a consumer device, although I couldn't blame you if you picked one up for your personal use.